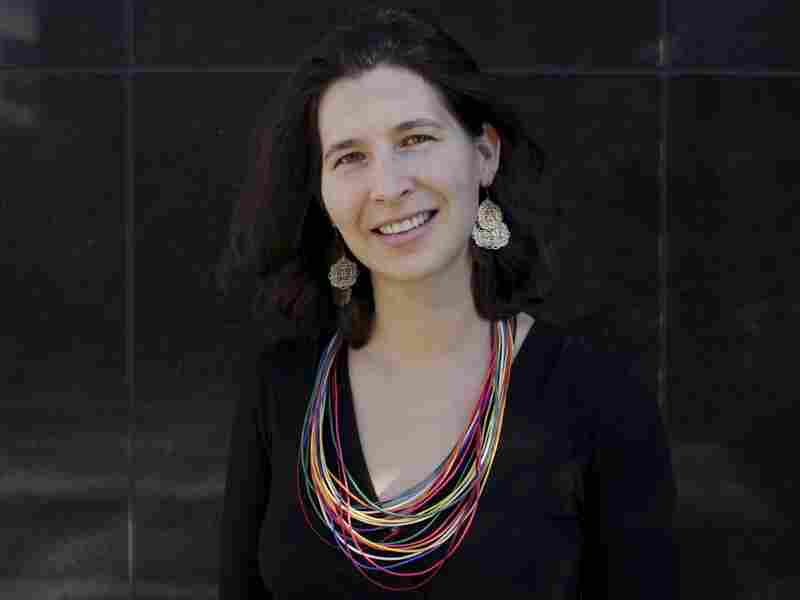 NewsPoet: Idra Novey Writes The Day In Verse Each month, NPR's All Things Considered invites a poet into the newsroom to see how the show comes together, and to write an original poem about the news. This month, our NewsPoet is Idra Novey. The series has included Pulitzer Prize winner Tracy K. Smith, as well as Craig Morgan Teicher, Kevin Young, Monica Youn, Carmen Gimenez Smith, former Poet Laureate Robert Pinsky, Paisley Rekdal, Tess Taylor and Philip Schultz. Today, poet Idra Novey brings us the news in verse. She has lived in Chile, Brazil and currently resides in New York. She is the author of Exit, Civilian, a 2011 National Poetry Series Selection, and The Next Country, a finalist for the ForeWord Book of the Year Award. She has translated several books from Spanish and Portuguese, including Clarice Lispector's novel The Passion According to G.H. (New Directions, 2012). Idra Novey sat down with NPR's Robert Siegel to talk about her day at All Things Considered. She spoke about "how fascinating it was to see the news in the making," and the poem she wrote for today's show. Novey sat in on the daily meetings for Digital News and All Things Considered, and listened to editors and producers debate the day's news. For Novey, some of the news discussed hit close to home. One of the stories covered gas rationing in New York City, which Brooklyn-based Novey had witnessed on her doorstep that morning. "There was a long line for gas at the gas station near where I live," she said. "It was really strange to have seen something outside my own building, and then come here and see it discussed at the news table." Novey was also fascinated by Melissa Block's interview with Daniel Day-Lewis, who stars in the upcoming biopic Lincoln. She was inspired by Day-Lewis' research into his role as the 16th president, and decided to include a line from The Gettysburg Address in her piece. "Daniel Day-Lewis talks about how he was so inspired in terms of figuring out how to take on the character by going back through Lincoln's writings, and as a writer, I think I'm also very much fascinated by going back and reading one's writings," she said. After Novey wrote her poem, news broke that CIA Director David Petraeus had resigned, citing an extramarital affair. "When you're writing a poem, and all of a sudden something changes, it's just between you and the poem, and you throw it a line," Novey said. "But here when you throw out a story and put another one in, it sort of changes the way the whole country and all of the listeners see the day." And the president, rehired, stood upon a fiscal cliff. And a woman at a hurricane shelter said the waiting. And this great task remaining before us. And Iran grabbing up gold. And the trouble with gold. And the president, rehired, heard what had been Far Rockaway was still a sand bar in the dark. And the president, rehired, heard about the oceans rising faster. And this great task remaining. And the president rehired, and the oceans rising. All Things Considered's NewsPoet is produced and edited by Ellen Silva and Justine Kenin with production assistance from Sophie Adelman.